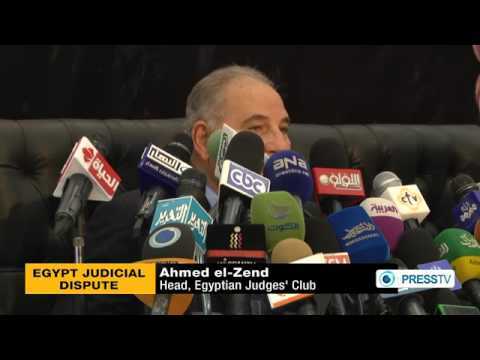 The Constitutional crisis in Egypt between the Muslim Brotherhood president, Muhammad Morsi, and the thousands of judges in the Egyptian judiciary, according to Amr Moussa, derives from a misplaced desire for revenge on the part of the Brotherhood. Under the regime of Hosni Mubarak, the Brotherhood was only semi-legal, and members were often imprisoned (Morsi himself was). Moussa, a former cabinet member under Mubarak who broke with the regime around 2000 and became secretary general of the Arab League, says it is wrong to think of Mubarak appointees on the bench as mere lackeys of the former regime. Many sought more judicial independence, and often gave Brotherhood members a break, he said.